Iran’s deputy foreign minister and nuclear negotiator, Abbas Araqchi, has indicated that his country will adopt a “new approach to resolve questions” between itself and the International Atomic Energy Association (IAEA). According to AFP, Araqchi called the meeting with the intention of paving a path forward ahead of a meeting with the P5+1 in Geneva on November 7 to November 8. This development comes after an encouraging first meeting in Geneva between Iran and the P5+1 in early October. At that meeting Iran seemed receptive to “detailed technical discussions” about its nuclear program. 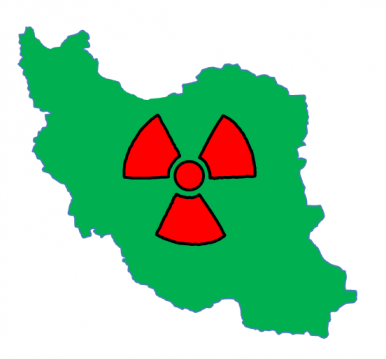 Although still a long ways from a solution that will be acceptable by all parties (Iran, the U.S., the international community, and Israel), the negotiations over Iran’s nuclear program appear to have left their difficult days under Mahmoud Ahmadinejad behind. AFP further reports that "Iranian and IAEA officials went into separate meetings Monday — set to continue Tuesday — on allegations that prior to 2003, and possibly since, Tehran carried out nuclear weapons research.” The IAEA and Iran have had some friction in their history; the relationship under Ahmadinejad was similar to a game of cat-and-mouse. Although its rare to see it mentioned in current coverage of Iran's overture to the IAEA, the agency had been granted access to Parchin in 2005. According to The Christian Science Monitor, "Using satellite and other data, inspectors were allowed by the Iranians to choose any sector, and then to visit any building inside that sector. Those 2005 inspections included more than five buildings each, and soil and environmental sampling. They yielded nothing suspicious, but did not include the building now of interest to the IAEA." For Iran, giving the IAEA unrestricted access to Parchin might be an easy way to increase trust with the P5+1 ahead of the next round of negotiations. In all likelihood, whatever unseemly nuclear activities Iran may have conducted at Parchin over a decade ago may not be evident anymore. The Iranian line on Parchin has been, and continues to be, that it is nothing more than a conventional military base. Western diplomats have openly accused Iran of concealing evidence regarding its nuclear activities at Parchin in the past. At this point, the IAEA’s search for damaging evidence to Iranian claims will not begin with an examination of nuclear equipment, but at the microscopic level. Stephan Vogt, a senior IAEA official, has postulated that Iran would be unable to completely cleanse Parchin of “tell-tale particles” that would reveal nuclear activities. Rapprochement between the nuclear watchdog agency and Iran could be a crucial step for Iran under Rouhani as it seeks to normalize its relations with the rest of the world and reintegrate into the global economy after several years of biting sanctions spearheaded by the U.S..
Ankit Panda is Associate Editor of The Diplomat. Follow him on Twitter @nktpnd. Iran agrees in principle to allow access to a secretive nuclear facility, and to resume talks over its program.